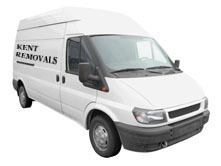 DS Trans - Man and Van Service Kent & East Sussex & London Provides you with a great team of moving and packing professionals with years of experience. Our company will help you with packing and transportation of your goods. Moreover we specialize in the transportation of items bought on E-bay and from other shops like Argos, Home Base, B & Q, Wickes etc. You will get them delivered as quickly as possible and without any damage. Also if you are interested in conveyance of stuff to the place Particular DS Trans will do it for you. Our man and van Tunbridge Wells service will pick up your items from the place pointed to you and then deliver them wherever you want. You do not have to be worry about anything. Your goods are protected with our unique packaging move. DS Trans in Kent & Sussex & London can supply you with packing foil, tapes, boxes and containers. Call us anytime when you need a van service! Moving across the country or into a new country is a major undertaking. It can be traumatic and give cause of concern. Man and van Tunbridge Wells in Kent & Sussex & London will help you to make this process smooth and not stressful. We operate Mainly within the citiens and towns of Tunbridge Wells, Sevenoaks, Ashford, Maidstone, Tonbridge, Crowborough, London, but also others in between. Consider also making use of our highly professional house removals Tunbridge Wells services or, if you would like to get rid of your garbage and rubbish - our rubbish clearance Tunbridge Wells offer. Our team will help you with packing, transport and moving belongings into your new property. Our quality services are your guarantee so you can leave your move to the moving professionals.